Looking for some Holiday Family Fun this weekend? Head over to the OC Zoo (at the Irvine Regional Park) on Saturday December 18th for fun activities including story time with Mrs. Claus, crafts, face painting and Santa of course! Between the hours of 10:00 am - 3:00 pm you can see all the animals open their presents and find treats hidden inside Christmas trees. All activities are included with the admission to the park ($2 per person and parking costs $5 a vehicle). For more information you can go here. 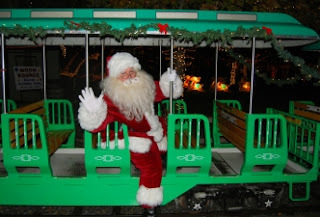 And of course you don't want to forget to ride the Christmas Train at the park while you are there. Information about when it runs is here. 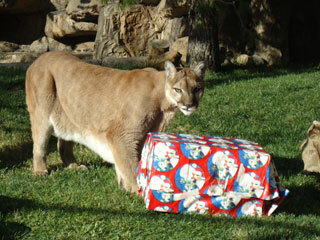 I didn't realise they gave the animals presents...How cute! Do you know any "Freaky Eaters"? Snow Land in Costa Mesa this Saturday! The Science of Gingerbread is Here!